Daryl Johnson (Worcester Park, United Kingdom) on 7 September 2017 in Animal & Insect. These little critters are called chin anago in Japanese. 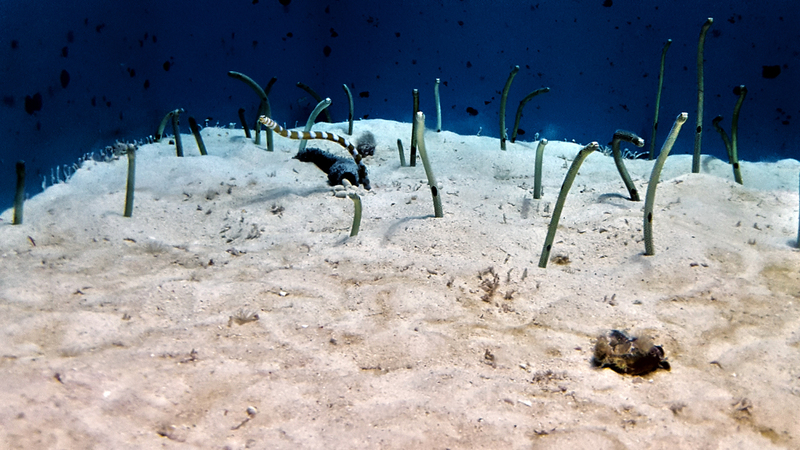 I believe they are 'garden eels' in English. @Hiro: They are so funny Hiro! A cool shot of these strange creatures.